The voices, interests, and needs of our students shape our planning and guide our approach on how we foster the social, emotional and academic growth of each child. The most essential values we can teach and model for our students are an internalized sense of Kavod haBriot, a deep commitment to Chessed and a keen appreciation of Tikkun Olam. Instilling a love of Hashem and His Torah is important to the future development of Am Yisrael. 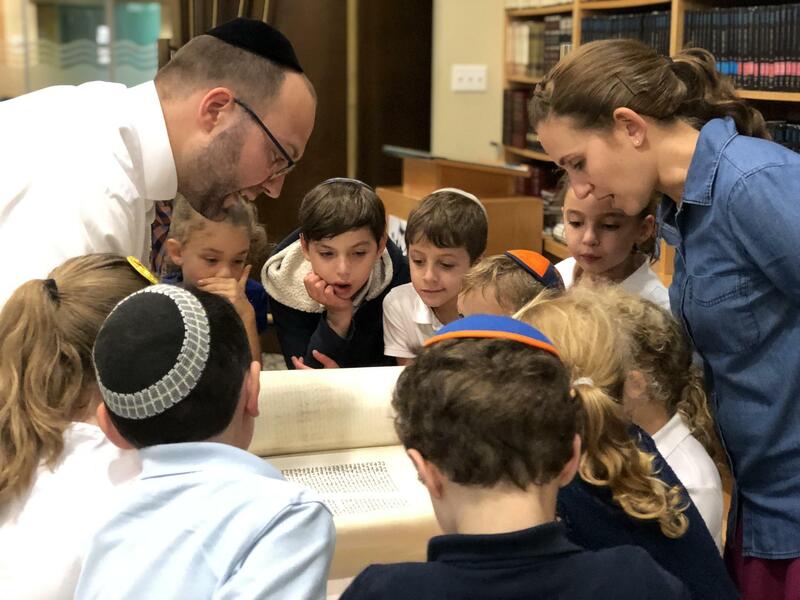 By exposing our students to the warmth, passion, beauty and excitement of the Torah, our students not only learn Torah but develop a LOVE of Torah and a commitment to Mitzvot. Our progressive and research based curriculum meets the highest levels of academic standards. Teachers are highly qualified, well trained and committed to Professional Development. Students are challenged in all curriculum areas and regularly achieve academic excellence. A strong bond with Medinat Yisrael and a deep love of Eretz Yisrael permeates our culture and curriculum throughout the year. Ivrit is the language of the Jewish people and, through full Hebrew immersion in all Judaic subjects, our students develop a level of fluency with the Hebrew language and our Mesorah. The partnership between the parents, professional and lay leaders plays an integral role in the effective education of each child. Parents are involved in their child’s education, development and growth as well as in the broader school community.